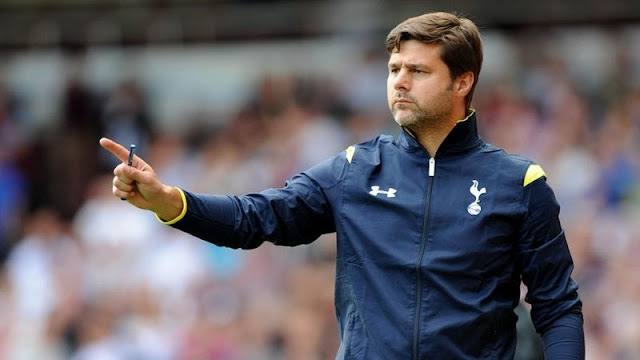 Home Tottenham Hotspur Mauricio Pochettino not giving up on silverware. Mauricio Pochettino not giving up on silverware. Tottenham Hotspur will find it tough to claim the game’s major honours under their current business model but have made fantastic progress over the past five years despite not winning a trophy, manager Mauricio Pochettino said on Friday. Third-placed Spurs have seen a 10-point lead over Arsenal cut to four ahead of Saturday’s London derby after their title bid all but disappeared with defeats in their last two games but the Argentine said they should be judged on resources. If you compare Tottenham with Arsenal and the capacity to sign (players) you could say Tottenham cannot be at the same level as Arsena, he told reporters, with Spurs having not spent any money on players in the last two transfer windows. League leaders Liverpool and champions Manchester City, who are a point behind, along with Manchester United and Chelsea as well as Arsenal have all spent millions of pounds on players in recent seasons in their quest to challenge for the title. Pochettino has built a young Tottenham side without splashing out in the transfer market and they have several times been title contenders only to fade away towards the end of the season. Nonetheless, they are established top-four regulars. Tottenham’s new 62,000-seater stadium is proving to be a financial burden, with early estimates that it would cost around 700 million pounds ($925 million) having jumped towards one billion according to British media reports. Pochettino said Britain’s political and economic situation had not helped. “The job the club is doing is fantastic. Brexit, the depreciation of the pound with Europe, has increased by 30 to 40 percent the cost of building the new stadium,” he said. Despite the difficulties, Pochettino believes the club are making progress with Spurs having reached the Champions League quarter-finals, where they hold a 3-0 lead over Borussia Dortmund ahead of Tuesday’s second leg in Germany. They still have a five-point cushion over fifth-placed Manchester United in the race to qualify for a place in Europe’s elite club competition again next season and only lost to Chelsea on penalties in the League Cup semi-finals.